A universally acclaimed design with a smooth, simple and understated look to suit all tastes. Unobtrusive, discrete and durable, this finish is one of the most popular designs in the Castelli collection. 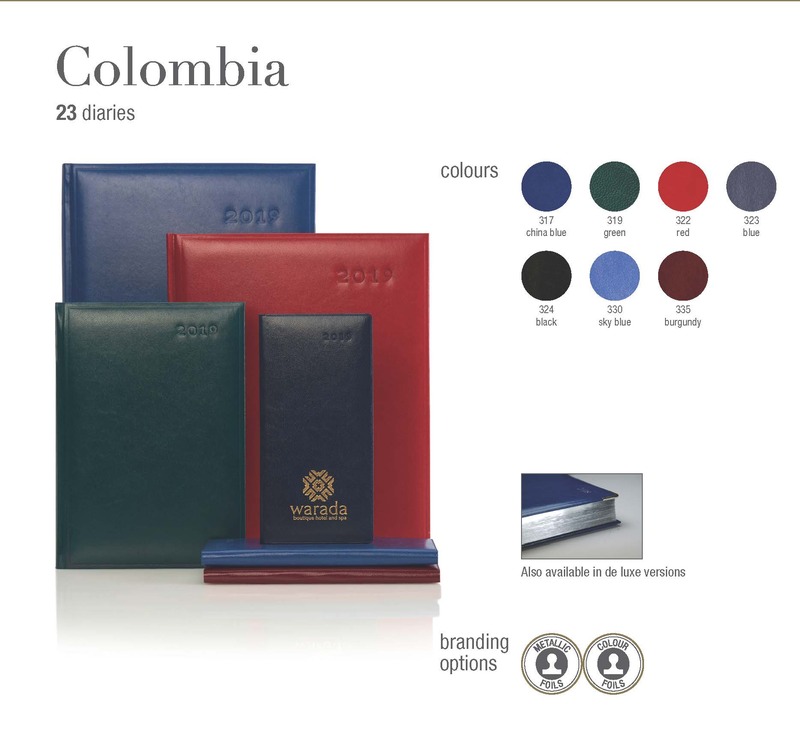 Colombia diaries are available in a selection of formats to best suit your organising needs. The perforated page corners offer the option of detaching from each page if desired for the ultimate easy referencing system. To complement the design the diaries features a silver ribbon marker. This product features ecological paper sourced from sustainable forests. Range of sizes available.